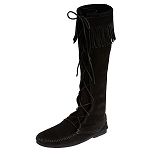 Minnetonka 1659 - Soft, supple black suede leather knee-high boot with 5 layers of fringe, accenting leather braid and brass ornaments at the top, and genuine moccasin soul. Whip-stitching detail around the toe. Side zipper for easy on/off. Height: 15.5". 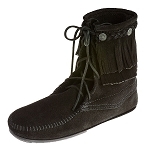 Minnetonka 1659 - Soft, supple black suede leather knee-high boot with 5 layers of fringe, accenting leather braid and brass ornaments at the top, and genuine "moccasin soul". Whip-stitching detail around the toe. Side zipper for easy on/off. 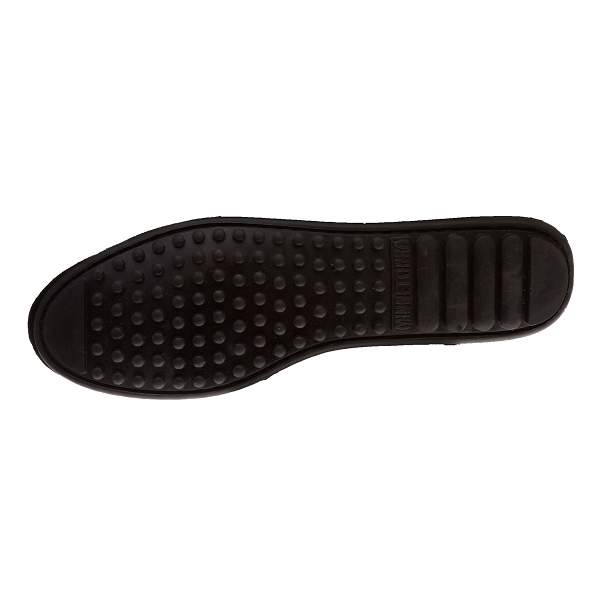 Fully padded insole for comfort and a lightweight rubber sole for durability. Other colors available. Height: 15.5 inches. Very well made and oh so comfortable. 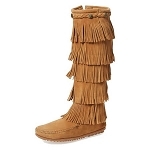 Love the feel and fit around my leg, and the pop and sway of the fringe is exceptionally fun. These boots have dominated my wardrobe since I got them Christmas morning. So happy with them! 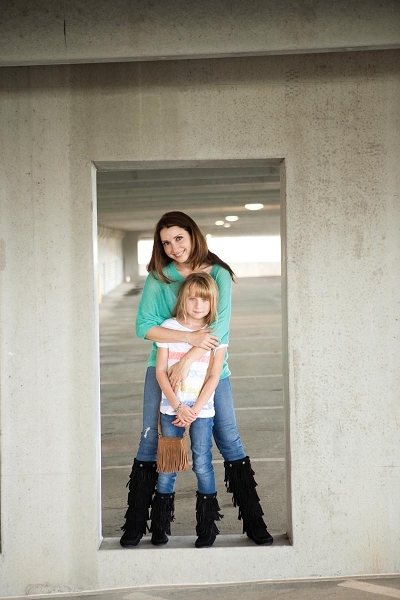 I absolutely love these boots. I wear them all the time. I also have the brown pair. The service was awesome and delivery time was amazingly fast. I will definitely order again. Probably ordering for Christmas.